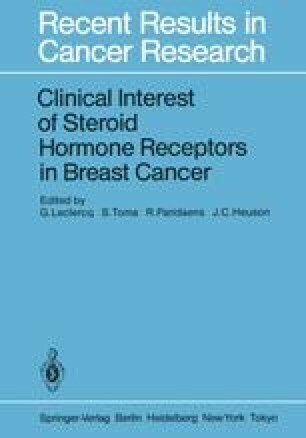 Interlaboratory quality assessment of steroid receptor assays began in 1977 with a small study initiated through the Christie Hospital, Manchester (Dr. D. Barnes). This study was extended to include nine laboratories in 1979, since when each laboratory has participated regularly (see Part VII). With centres in Birmingham (Dr. A. Hughes), Cardiff (Drs. R. Nicholson and D. Wilson), Edinburgh (Dr. A. Hawkins), Glasgow (Dr. R. Leake), London (Drs. H. Braunsberg, R. King and A. Wilson) and Manchester (Drs. D. Barnes and A. Howell), the country is reasonably well covered, although additional groups continue to show an interest in the study. We are also fortunate to have an additional control through the participation of the Nijmegen group.